Ali, resident of Abbas Town: Disasters don’t tell us where they will strike. Lubna Fatima, resident of Abbas Town: There is strength in us which propels us forward. Dr. Moiz Jafri, psychologist: We can’t change the past, but the future is in our hands. Zareen Fatima, resident of Abbas Town: We have to make the resolve that we will be victorious. VO: Life is made up of catastrophes and untoward incidents. It is linked with happiness and sadness. Only someone who is brave rids himself of sadness and fills his and others’ lives with joy and happiness. Lubna: This was not just any carnage. It is etched in our minds. All I can say is that we should be courageous as human beings and remain motivated by his courage. Ali: There was a state of psychological trauma. Nobody was helping anyone but a kind uncle helped me. There was no hope but the doctors were a lot of help. VO: Life goes by. But wouldn’t it be better if we moved ahead with a constructive approach. 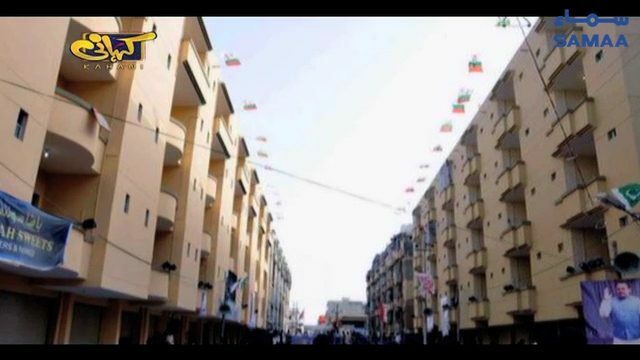 Abbas Town in Karachi is a perfect example of a positive mindset. Dr. Moiz Jafri: If the atmosphere around us is supportive… like there is a very good thing in the West that people sit and listen to the person who has suffered in life and they give him confidence and help him move on. You know, when someone passes away in a family, members of society send food for days. This kind of support system in our society helps him/her return to normal life. Dr. Huma, psychologist and resident of Abbas Town: We were encouraged when the reconstruction work kicked off. Life means living it to the fullest. People, who are dead on the inside, cannot live. Allah gives strength to those who are living with courage no matter how many problems they face. Naveed Rizvi, resident of Abbas Town: All this work was done because we had the passion to do it. There was team work involved. Everyone was helping in every way they could. Some provided financial assistance, some provided their homes while some provided food. Zareen Fatima: No obstacle can stand in your way if Allah gives you strength. I did the same and I am still doing it for my children. I am taking care of the children and while Allah has given the responsibility of handling my well-being to someone else. Ali: My family was already tense so I decided to take the initiative so that they would not get worried. VO: Confidence is a sign which makes it evident that a person has overcome their failure by staying determined. Dr. Huma: It was a tragedy that cannot be forgotten but we have forgotten it with our willingness to sacrifice our bodies to defeat terrorists. Our spirits will remain high and you will remain defeated. Our nation will always remain victorious. Dr. Moiz Jafri: It is amazing how the human body reacts to stitching. Allah has created us in such a way that the skin becomes one after the wounds are stitched. The second most important thing is hope. If the victims were not hopeful of what the future holds for them, they would become like those American soldiers who return from missions in Afghanistan and Iraq and are suffering from Post-Traumatic Stress Disorder (PTSD). We see them firing bullets and bombings because they have been through that situation where they were killing children and women. Now their conscience is reminding them of what they did. Despite the excellent medical services in their country, they are suffering on the inside. VO: Women saw their own children suffer right before their eyes but they never lost hope. Lubna Fatima: We have never ever been scared of such situations because we are the followers of a prophet who taught us that Allah is with those who are patient. Therefore, we are patient and we have expressed our patience. This is why Allah granted us so much patience that my son endured 16 surgeries. VO: These houses were reduced to debris but the determination of these people not only transformed their homes but also their lives. 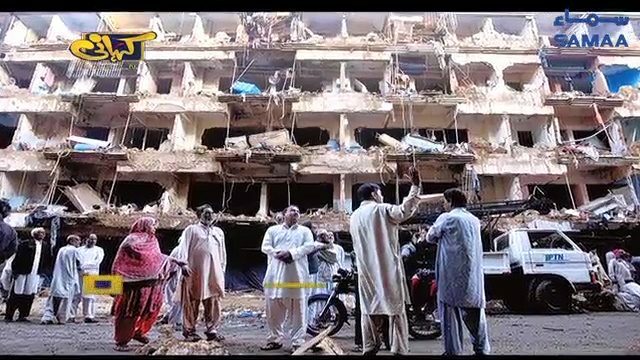 Zareen Fatima: When the explosion rocked the area on March 3, 2013. You witnessed the carnage unfold with your team. The buildings were reconstructed within a year. The person who may have seen the tragedy would say that a terrorist attack had taken place but someone, who hasn’t visited the area, would never be able to tell if this was the scene of a terrorist attack because people are living according to their normal routine. Ali: A person can never be miserable if they trust Allah. This is a story of bravery and passion therefore we should never lose courage. Dr Huma: Life is about struggle. Life is about giving defeating the evil forces. They can only be defeated if we let them see that they wanted to kill us but not only are we living we are living the same way before the tragedy unfolded. Dr. Moiz: Brave people and nations brace themselves for what is going to happen after suffering a tragedy. Cowards accept defeat. Our basic belief is that everything happens according to Allah’s will and He is testing us. So according to me, I laud the residents of Abbas Town who are prepared for what the future holds for them. Lubna Fatima: I would like to send a message to all those who carried out the attack, while hiding, that you did something according to your mindset and we faced it with our determination and Inshallah we will remain determined as ever. VO: Life is normal in Abbas Town and it is because of the courage, passion, constructive mindset and motivation shown by its residents.